The first day I met Donna she was wearing a beautiful Minnie Rose cashmere shawl, I thought she looked fabulous and so cosy. It didn’t take me long to find out where it was from and when we would be stocking it. Since then I’ve been hooked and have built up a small collection of them myself. 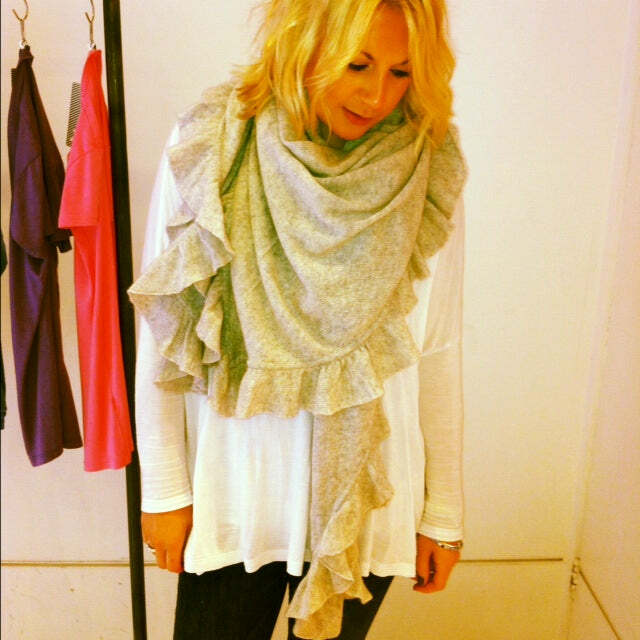 The cashmere is amazing quality and they are so versatile. You can either drape yourself in them or wrap it up tightly like a scarf. They are the ultimate travelling partner and will keep you warm and comfortable on any air conditioned flight. Cosy up in them on any chilly British Summer evening, or in the depths of Winter. They are an all-year-round style winner! The colours range from a classic black to soft pistachio colours so there is one to suit you and your wardrobe. And if they’re good enough for the Duchess of Cambridge then they’re good enough for us all. Princess Catherine famously wore one just weeks after marrying her Prince.